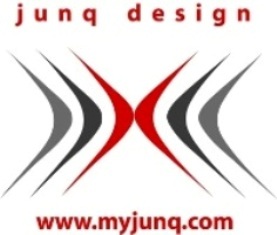 Junq design specializes in the engineering, design, manufacture, sales and supply of premium quality architectural lighting systems, furniture and home automation systems.Junq design also actively promotes the sculptures and paintings of renowned European artists through its much raved about Art gallery,Junq studio.Established in the early 90,s Junq design,The world spanning collection of Junq, s finest quality products is a true to life amalgamation of master craftsmanship, technical integrity and aesthetic appeal manifesting an outstanding reliability. Established in early 1990,Junq design realizes itself as a one stop shop for the conceiving architects and interior designers. “There are three forms of visual art: Painting is art to look at, sculpture is art you can walk around, and architecture is art you can walk through”.-Dan Rice(1823-1901).As vividly expressed by many,it's a matter of viscous audacity to compare the reflective geniusness of talented artists who render their superiority to the rest by restructurig the elements of life,only to find a close association to the mother of all,nature. So is the case of artists rendered by Junq Studio.where an amalgamated strength of radiance,emotions and sensuality opens skylights to metallic arts....Art forms that truly breathe life.Since the early 90,s Junq Studio has been intensely promoting artworks that reflect a supernova of contemporary and traditional styles ,as the sensuous metallic elements bring together various textures and architectonic forms.Figurative sculptures in bronze, with ventures into abstract work in metal has been the signatures of Junq Studio,s artists ,with many of our displays having won several international awards and glamourizing the public, corporate and private collections in North America, Europe, and Asia.The metamorphic talents shadowed in the displayed works have been generating public discussions since its inception.As the base mediums of bronze and copper,chosen from the unlimited,reflects our permeability to space and time with the unique expressions of humanity.Many of the featured, depicts the soulful thoughts of the artist with a certain license for his mentor,rendering the rich,imaginative and vivid touch.